Joshua A. Greenwald, MD, FACS, is a board-certified plastic surgeon who has been performing aesthetic and reconstructive surgical procedures for more than 25 years. He specializes in cosmetic surgery of the face, body and breasts and has helped many patients achieve naturally beautiful bustlines through various forms of breast surgery, including breast augmentation. 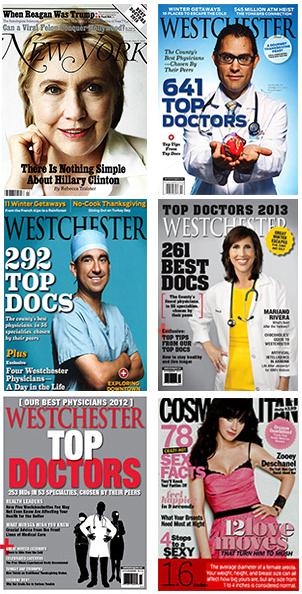 With more than 17 years of education and medical training, Dr. Greenwald is recognized as one of the most skilled Westchester breast enhancement surgeons. Dr. Greenwald has received numerous awards recognizing his research efforts in plastic and reconstructive surgery. His work has been published in many professional journals, including the Aesthetic Surgery Journal and Plastic and Reconstructive Surgery. Dr. Greenwald offers a wide range of breast enhancement procedures, including breast augmentation with silicone or saline breast implants, breast lift, breast reduction, breast reconstruction and male breast reduction for the treatment of gynecomastia. He is well versed in a variety of breast incision types as well as breast implants placement. He uses his aesthetic expertise to help each patient, including those Manhattan breast augmentation patients who travel to his facility, decide which breast implant is best for her based on the anatomy of her breasts, her lifestyle and her aesthetic desires. This includes not only breast augmentation patients, but also the many women who visit Dr. Greenwald to undergo breast reconstruction surgery with breast implants following mastectomy. Dr. Greenwald and his outstanding surgical team have extensive experience utilizing some of the most advanced breast surgery techniques to produce stunning aesthetic results. Dr. Greenwald performs surgery at a private Ambulatory Plastic Surgery Facility (APSF) accredited by the American Association for Accreditation of Ambulatory Surgery Facilities (AAAASF). He also maintains full surgical privileges at several prestigious medical centers in New York, including the White Plains Hospital Center; the Lenox Hill Hospital Center; the Manhattan Eye, Ear & Throat Hospital; the Northern Westchester Hospital and the Putnam Hospital Center. In addition to breast surgery, Dr. Greenwald offers a range of cosmetic procedures for the face and body, including face lift, eyelid surgery, rhinoplasty, tummy tuck, liposuction, SmartLipo, thigh lift, lower body lift, arm lift and post-bariatric body contouring. He also administers a number of non-surgical facial rejuvenation injections such as Botox, Juvederm, Radiesse and Restylane. To schedule a one-on-one consultation with Dr. Greenwald and learn more about your breast surgery options, visit http://www.drgreenwald.com/breast.php please call his office at (914) 421-0113. What Do Patients Say About Dr. Greenwald? Joshua A. Greenwald, MD, FACS, completed his undergraduate degree at Columbia University and his medical degree at the New York University (NYU) School of Medicine. He also served his general surgery residency at NYU, during which time he underwent a two-year research fellowship in reconstructive plastic surgery. Dr. Greenwald then completed additional fellowship training at Emory University in Atlanta, one of the most prestigious plastic surgery training programs in the country. He is a Fellow of the American College of Surgeons and a member of many professional organizations, including the American Society of Plastic Surgeons. Dr. Greenwald is a member of several professional associations.